Serono Birds and the Bees Campaign: Raising Awareness about Infertility? How, I wonder do the birds and the bees feel about the Birds and the Bees Campaign sponsored by EMD Serono, the pharmaceutical company that manufactures Gonal-f, a synthetic hormone that stimulates follicle and egg production? Serono tells us the campaign intends to raise awareness about infertility and provide couples with the information they need to increase their chances of conceiving. Each one of the series of videos they produced, ends with “see a fertility specialist now” The unfortunate wannabe Bird-Mom in the story tells us about all the useless action she has taken, such as yoga and acupuncture, and she has done every pre-conception detox in the book, but she has yet to see a fertility expert, the one with the real answers. “With an FSH of 42 at the age of 42 you have no chance of conceiving a biological child.” That was almost 20 years ago. Now that inconceivable baby is getting ready for her senior year of high-school. Sounds like they haven’t heard the stories of the millions of women who spent years injecting themselves with cocktails of Gonal-f and other creative combinations of stimulants and had nothing but cysts, bruised bodies, and in some cases, cancer, to show for it. Interestingly, none of these beautiful, brilliant women talks about safeguarding their health during and after treatment. With supplements, nutritional support, radical detox after treatment. Why not? Is it because all the fertility specialists told them to do is to have regular checkups? Holly also tells us that after she failed to conceive after a number of IVF attempts, when she asked her fertility specialist “whether a sane person would bother trying again?” he said there was nothing insane about what she was doing. The Fertile Heart ™ Birds and Bees Campaign? I’m thinking the birds and the bees are prepping for their own fertility awareness campaign, hoping we all can get our act together and start cleaning up the air and the water before we kill off not only the birds and the bees but countless other species. Maybe we could give them a hand with their campaign, what do you say? Let’s cite a few real life examples on the importance of doing our own thinking. Let’s list a few examples of the answers we received from the expert fertility specialists and our experiences with the fertility treatments that Serono tells us will increase our chances or getting pregnant. By all means, let’s consult a fertility specialist when the time is right, use the diagnostic tools they offer if we need them. And I get it, that some of you feel that you really, really must take the IVF road. But let’s remember to do our own thinking. and feeling and choosing. If you travel the IVF road, I hope you take it with your eyes wide open, so that you can do it when you’re ready, and not have to do it over. And over and over. 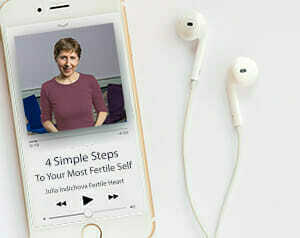 Just in case the next fertility expert doesn’t have all the answers we’re looking for, let’s keep educating ourselves about increasing our fertility by doing all we can to get as healthy and whole as we can. To do not only pre-conception detox but serious post-fertility-treatment detox and to continue to use food and plants as medicine for the rest of our lives. And maybe we can engage in conversation with the fertility experts who will listen to what we have to say. If you do find a specialist who’ll hear you, please let me know, our referrral list seems to be getting shorter these days. I’ve seen the healing power of our incredible Holy Human Loaves and I say if a man-made drug can get you pregnant, chances are, with a little TLC from the Ultimate Mama maybe your body could pull it off without the help of EMD Serono. I guess this is a continuation of the Why me? theme. So that we would speak up. 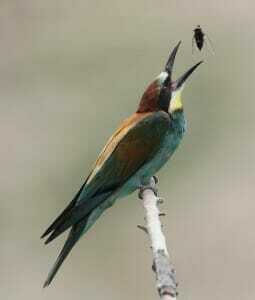 For the birds and the bees and the babies of future generations. And for ourselves or course. That we don’t allow the Serono lab advertising team or any other sales team, to inject an image of ourselves as helpless victims scrambling to be rescued by the next wizard of baby making or the next magical drug. Our choice is to “be down on ourselves” like Holly, or to be powerless like all those sad patients of Dr. Gleicher? We have no power to affect the evolution of our troubled species? Is that true? Are those are only options? Thank you for this blog post. Though we have been trying for 3 years to conceive a second child, I ruled out IVF or other hormonal interventions early on in our quest because with a history of breast cancer in my family, I have always been very leery of medicines in general. There was and is an inner voice that said that I would rather adopt a child because for me, nothing could ever trump nature in the perfection that she creates. This is not a criticism of women who use ART or of the babies who have come to the human family through this route, each one is a blessing and I am so happy for those parents who got to know that joy through the advances in medical science. it is just that these treatments mask what may be something that needs attention, something deep within the psyche or the emotional body that is asking to be healed. For me, the Fertile Heart Ovum work is so much more than my quest for my baby, it is the path I feel is going to bring me to a new understanding of myself, a new way relating to self and those that I love and cherish in my life and to a new way of relating and helping a world and community that needs understanding and love more than ever before. As my darling sister says, you cannot help the whole world but you can help one person at a time. So i start with me, then extend a hand to one more person and if we all do that, imagine what would happen? I have never felt more connected and supported as within the Fertile Heart community and I hope more women will discover the power of their own “inner fertility specialist” through the ovum birthing practice. Thanks Julia for all that you do and bring to us. Thank you Julia for this post. I must admit that when I was mid-post, my orphans started fussing. “But at 28, with an FSH of 144, an egg donor cycle is the only option for me! !” they whined. Of course, later in your post, you acknowledge that for some people these medical interventions are the only option. And that the important thing is to go through them with one’s eyes wide open. As I prepare for our cycle, I am doing just that. Thank you. After two failed IVF cycles, my fertility doctor told me my 31 year old eggs were extremely poor quality and that my chance of conceiving was estimated to be 10-15% if I tried another IVF cycle. Receiving this type of news was devastating to me and I decided it was time to take action. It was over a year that I started to take care of my body, my mind and a little angel brought me to Julia’s work. I took this time to nurture myself and although I did ultimately turn back to IVF, something happened in this 3rd cycle that the doctors don’t quite understand. I became pregnant with triplets! Of course the intention was never to be pregnant with 3, but the doctors never thought I could get pregnant. What they didn’t understand were the changes in my holy human loaf, which I don’t think even I realized to what extent all the Fertile Heart work/self care had affected me. They were stunned! Thankfully mother nature reduced the triplets as I miscarried two of them and I am currently 35 weeks pregnant with one boy. I believe that I would have gotten pregnant without IVF had I had been more patient, and I realize now that a lot of the complications I had early in the pregnancy were a direct result of the IVF (I ended up with a blot clot in my uterus which placed me on bedrest and of course the absurdity of getting pregnant with triplets). Although I knew I had made huge strides in my health and healing, I wish I had had more confidence to continue trying naturally. The drugs are strong and my body was very affected by them. I am truly afraid of the long-term effects of the drugs and I know that I will never turn to them again if I choose to have another child. I plan to continue my cleansing of all these drugs. Thank you for the post Julia and continuing to teach and challenge us. I can relate to Holly. I was her, I have been there a powerless victim to the drugs and the doctors with the Harvard degrees on their walls. You are only 32 keep trying, take another cycle with more drugs, now you are only 33, 34, 35, 36, 37….until I finally got the power to say STOP NO. This is not working for me. You have endo, you need the drugs. But doesn’t the medicine cause even more cysts? Yes but just keep trying, we are the experts and this is your best chance. Powerless I kept going. I often think what kind of mom I would be if one of those cycles worked? What kind of child would I have raised? I think it would have been a disaster. My child would have been powerless unable to speak up and my marriage would be a wreck. I am certain of it. So this baby not coming on my schedule has been an amazing gift! My incredibly wise not yet born child has given me the opportunity to take my power back to know with utmost certainty to my very core that I know more about my body than anyone ever will. That I will always for the rest of my life make the decisions about my health only after consulting my own most trust worthy source. Even though I stumble and get emotional sometimes while doing so I have learnt to speak up for myself. To not be a victim. I keep walking forward…towards this amazing child. I know in my heart that it will happen and I just need to keep walking forward..with eyes wide open. My husband and I were age 38/37 at time of conception, age 38 at birth, and age 32/31 at the start of trying to conceive. Because of known birth defects for both of us, we explored ART very early in our journey. Having known male factor problems, we made one IVF with ICSI attempt. After that attempt failed, at the age of 32, I was told that I was a “poor responder” with high FSH. The doctor recommended one more IVF attempt, almost assuring failure, and then moving on to donor eggs. Feeling emotionally and physically drained from the attempt, I started down a road of looking for alternatives. First, I added acupuncture and therapy. Later, I found the Fertile Heart community. There, my husband and I began a long journey of healing ourselves physically and emotionally, addressing food intolerances, and becoming our own authorities on our health. My husband later learned that he had been misdiagnosed, and had an operable condition that had been impairing his fertility. I also found a much more open-minded and open-hearted RE who was willing to monitor me while my husband was treated. We eventually had a natural conception and birth of our beautiful daughter. We are so grateful to have found the Fertile Heart tools, and to have resisted the urge, born of desperation, to have repeat IVFs. I later found out that there is a family history of ovarian/uterine cancer, so I am especially happy that I did not continue to add to my risk. Thank you Julia! This is so necessary. I had a much shorter fertility path in some ways than others. And, in the short span of that almost a year, i went through so much pain and growing pains. And, most of it was not physical-thanks to fertile heart, it was almost all emotional and i was given the opportunity to work through it. Had it been combined with tremendous physical wear and tear, I would have had a VERY tough time. My point is that so many women go through this for years and years (and I know many of them in my circle) and it’s passed off as “medicine”. Just follow the doctors orders. When i wasn’t ovulating, at least two docs were keen to put me on meds. I know I don’t react well to them and just said pass and at times, moved on to other doctors who would be more patient. I found that in a naturopath recommended by Julia who said ” suzanne, at your age, the biggest thing to keep in mind is patience, that’s all. just be patient.” I have seen meds change my system over the years in ways that were so off that it would throw or should throw off anyway. And, i know that i’m just really sensitive to medicine. It used to bother me but now i thank god. Anyway, enough of my going on. I am 5.5 months pregnant. The way I got here is through my fertile heart, julia, the fertile heart community and its tools and A LOT of belief that i could do this my way. And, my husband believed as well. I found those who believed in me as well and kept a safe distance from those who didn’t and loved them from a little afar for a bit. Anyway, Fertile heart helped me find my heart and my baby. So, take that birds and bees campaign! It was very encouraging to read this post and the other comments, adding everyone’s life’s stories and experiences to mine as if it all becomes my own story – and it makes me get in touch with things that are difficult to look at because they hurt, but sometimes we don’t even realize because we mask the pain. In my case and my husband’s, we are just coming out of two unsuccessful IVF cycles this year. The doctor always saying that it went brilliantly well, that we are totally suitable to carry on treatment, etc., but not having any interest whatsoever in our lifestyle/habits/ nutrition, emotional status and so on. I am 45 years old and the doctor tells me I am a young woman “egg” wise. This leaves me upbeat and makes me want to spend all my money without taking care of the right things in order to succeed, but then I come crashing down when it doesn’t work, which is a bit where I am now – depressed, failed, intoxicated and paralyzed. I think the fear of failure is so great that I unconsciously tend to want to justify it by not changing anything. As if it would be easier to hide under the excuse that it is not working because I am not changing my lifestyle for example, than to say that it won’t work no matter what I do. But, I am willing to change this outlook, although I have defences and resistances to break – I already have a 2 years and 8 months old daughter and sometimes I feel guilty to want to have another one if it is difficult and takes my energy from her. Before she was born, I had two miscarriages and this is when I started reading the book “Fit for Fertility” by Michael Dooley, an English doctor. However, after becoming a mother I came back to chocolates, no exercise, poor sleep, etc… and started trying for another one when she was 1 year old. Despite the fact that I was 42 years old at the time, my gynecologist didn’t send me to a specialist but gave me Clomid, Primolut, Serophene for over 1 year, alternating them on a monthly basis. How wonderful it would have been if instead of all this I had started back there being aware of this holistic approach to health and fertility and made significant changes a lot earlier. Only now, after the failed IVFs I came across Julia’s book Unconceivable through my acupuncturist and a series of other books that open up what seems to me a completely new and hopeful world. Nonetheless, I feel I am at the “threshold”, trying to enter but also afraid of entering, finding it difficult to make space for it in my life and finding the courage to take these new steps. So it makes me think of our emotional traps, like there is the fear of failing but the fear of succeeding as well, maybe connected with our complex histories. These ads are definitely meant to make woman feel like Infertility doctors and drugs are the ONLY choices. And, when women feel desperate they will try anything. I know because I have been there. Thanks to you Julia, and the FH community for giving woman another choice. For educating and supporting us in our time of need. My orphans still come out, but at lease I’m learning to understand and deal with them. Wouldn’t the world be a better place if everyone knew how to call on their Ultimate Mom! Dear Julia and FH sister. Thanks Julia for posting this. When a read this I was astonished , They they don’t play the adds in Canada (Thanks god and UM). So I went to googled and I have to say They a great advertiser , THEY PUSHED ALL the BUTTONS AND MAKE DANCE LOTS OF ORPHANS. So I’m Very thankful with Julia for rising the voice and her conscious thoughts from the Visionary. I feel deeply blessed that we have this wonderful Fertile Heart community to be able to watch this adds with wide open Eyes. If we take the Gonal F world, I hope is not because the birds and bees adds, is because we did our work and is a conscious decision. I have to say thanks to this Serono adds for making my Visionary stronger and the opposite reaction that they planned. We are a strong great community and as a community we can conceive a more fertile creative , aware world. Hmmm… These ads are definitely are meant to make you feel like infertility specialists and drugs are the ONLY solutions. And, when women feel desperate they are willing to try anything. I know because I have been there. Thanks to you and the FH community for giving myself and other woman a better choice. For taking the time to educate and support us in our time of need. My orphans still show themselves, but at least I’m learning a healthy way to combat them. The world needs more Ultimate Moms! with a high FSH diagnosis and hashimotos (thyroidist), the doctors offered me no hope on my own fertility, but suggested hormone replacement therapy and possibly remove my thyroid. I felt powerless, then I got angry. I started to read of hundreds of women (including Julia) who took their fertility in their own hands and did it without their doctors doomsday warnings. I didn’t do their suggestions. I am constantly researching health, nutrition. Doctors do very little of this at university, they study medicine. A lot of doctors don’t keep up with current research or studies. But I have a brain, I can do the study. In the last 8 months, with working on my health and working on the FH tools, my hot flashes are gone, insomnia gone, indigestion gone. I’m excited to see what else heals. Don’t get me wrong, I have actually found some amazing doctors that have helped and supported me on my healing journey, but I had to search high and low for them. They support me, not take my power, that’s the difference. Through my own personal journey and working with the FH community my health has significantly improved. Indigestion, insomnia, hot flashes, depression – gone. I believe through studying nutrition and working with FH I’ve been able to feed my body what it needs more of. Doctors rarely talk of nutrition, it’s really a side issue, they study so little of it in a medical degree so I do not go to them for health recommendations. a lot of doctors don’t keep up with current research and studies, we have to be proactive here. My body is powerful, my mind is powerful. If I gave the doctors my power years ago I would probably be getting sicker and sicker. It’s been a lot of work, constant work. No quick fix medicine. But the FH work & community, and nourishing foods, real foods have been my medicine. I’m inspired by the responses here. Thank you Julia for, yet another, well timed blog. I am teetering on the edge of looking at “other approaches”, that may possibly involve drugs (although I am not sure what they involve yet)… This would be instead of IVF which is what the consultants will TELL ME I need to do when I see them next month. Its so sad that these companies play on fear, that they choose not to remember ‘do no harm’, that they draw in doctors who offer no other advice or options aside of drug intervention and IVF. Like so many here I am so grateful for the FH tools, the OVUM technique and the gifts they have brought so far. At the weekend I was at a memorial service of an incredible man. His sister spoke of his advice to her as they climbed mountains together: don’t look at the summit, don’t even think about it, focus on the now, each step you take, look around and enjoy the journey and sure enough you will find yourself there. Of course it is not black and white but it seems to me that orphan driven use of drugs is like focusing solely on the top of the mountain and then using whatever means it takes to get there, regardless of the consequences or what you might miss along the way. Oh what a day it would be if the whole world stopped for a few moments and did the “Field of Creation.” THe peace and compassion that would fill the air after and so much real power emerging. When we were looking for answers on how to conceive and dealing with my husband’s failed vasectomy reversal we met with 2 different RE’s. The first frightened us because we knew he was giving us a sales pitch. It tugged at our hearts though because what if the only way as he said felt so wrong to us. We decided to keep looking and the second RE gave us a lot of information and options. We did opt to use donor sperm and natural IUI for many reasons – one of the largest was my health. This was the absolute most important thing to my husband. We did conceive on the second try and had a very healthy pregnancy. THis time has not gone the same way. I regret to say I did do a couple IUI’s with half doses of follitism – made 4 or 5 eggs those cycles but didn’t work. If it would have it would have been a conception achieved in desperation and I likely would feel the same with the same orphans and unresolved conflicts only I would have 2 children instead of 1. Some RE’s mean well but their drugs can only do so much. It is unfortunate they seem to be the first and what is often and they certainly think of as the only stop when the mechanics of conception aren’t coming together. But they only do handle the mechanics which is probably about 2% – alot like the numbers they give us when we aren’t performing on the appropriate schedule. My mother and father got the mechanics right and had 3 daughters but neither have ever been parents. No RE can help what truly ails me and the only medicine which helps me is compassion and loving support from others. So THANKYOU Julia and the entire long running Fertile Heart Community because this is some strong medicine! Thank you Julia for presenting the voice of alternatives. My understanding is that the advertising business uses many tools to sell products – one of which is fear, or encouraging people to feel inadequate unless they purchase the product. My understanding is that medical doctors take the Hippocratic Oath which is first to do no harm. It might be wise to question the ethics of companies who service medical people using fear tactics to sell products. These fear tactics most certainly do harm. I am aware of a woman that I have heard about though someone doing healing work with me. I believe the woman tried for several years to have a child – even having several unsuccessful (or at least one unsuccessful) donor egg cycle and went on to become pregnant naturally. For me that says it all, not to mention the many women who conceived naturally using the Fertile Heart tools. Great post Julia. As I was reading it, Elizabeth Edwards also came to mind as someone who went through years of fertility treatments and later died of breast cancer. The “experts” say there was no link between her death and the repeated IVF treatments but I have never bought that. As I sit here with my mother who just underwent surgery for ovarian cancer, I can say that any suspected cause for these terrible female diseases should be avoided. We here in this community are so fortunate to have found our way to your books and FH tools before wasting additional years, precious egg supply, gobs of money, and most importantly continuing to put our very lives at risk with the pharmaceuticals pushed by the “experts”. Personally I am relieved that I stopped the madness and got off of that dangerous roller coaster. Your post reinforces this for me. I don’t feel powerless… I feel powerful. I know deep in my heart that my chances of conceiving are much much greater taking my FH medicine than any man-made fertility drug. Keep preaching the TRUTH Julia!!! Thanks Julia for posting this hideous ad campaign as well as making us think, as usual! I am so happy to be able to say that this work on my holy human loaf not only helped me to conceive a baby, but it healed me, my marriage and created a space for me to return to whenever I feel the need to stop and smell the roses. It has slowed me down, built me up and now I find myself “selling” your program- there is truth to what you created, what you teach and do with women who feel like there is no hope. But maybe our struggles are part of a bigger scheme: there is something we need to understand in this particular way in order to pass to our children a new form of love and information. It is the meaning of – and the attribution of meaning – to our journeys that makes all the difference, giving a sense of purpose and therefore power. I understand that your teaching is not just about facilitating conception but facilitating the growth of a generation of mothers that are powerful enough to go through all it takes to carry forward this evolutionary game, especially by raising the children we need in order to face our huge challenges. I felt powerless for most of my life but I have recently felt excitement at the thought of where this will take me… I guess the ‘medicine’ starts working on the patient. It has taken me incredibly long and has needed interventions on all aspects of my human loaf. I am growing my beak to look for my nectar. Hope one day this will be useful to someone and something.